If it’s been a while since you setup your wireless network, then you are probably overdue for an upgrade. 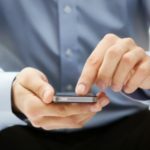 Thanks to more devices having mobile capabilities and functionality, and more employees bringing their personal devices to work, wireless network technology has evolved quickly. Your old router might not be meeting the demands of the new modern mobile office. An outdated router may be the reason your wireless network is dragging. 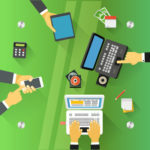 Maybe you originally set up your network to handle a couple of laptops, and everything worked smoothly; but now, your network is seeing increased demands from smartphones, tablets, eBook readers, media players, printers, televisions, and we are sure to see more technologies gain wireless capabilities (we are already seeing refrigerators and washing machines joining the ranks of mobile tech). 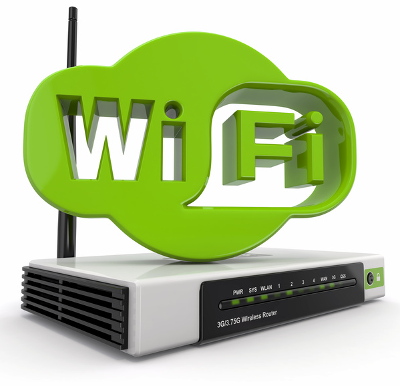 As demands for bandwidth continues to increase, you will need a more powerful wireless router. The latest wireless routers features 802.11n technology, which are much faster than the 802.11g/b wireless routers from just a few years ago. With an older router, you can still accomplish essential tasks, but you will begin to see a noticeable difference when doing more advanced things like streaming HD video or using voice over IP communications. 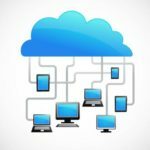 With more advanced gadgets hopping on your wireless network, there will be a greater demand for bandwidth due to applications that require more resources. The new generation of Wi-Fi standard is 802.11ac. You can even buy routers that offer high throughput in the 5GHz frequency band. Although, before you go out shopping for the biggest and the baddest router on the market, you will first want to consider your Internet speed from your ISP. If you are signed up for a speed of 25 Mbps, then installing a faster router isn’t going to make a difference because there will be a bottleneck with your ISP. Many ISPs offer special packages and rates for businesses that include Internet speeds that faster routers can take advantage of. 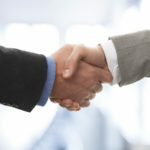 Aside from faster speeds and the ability to connect more devices, there are a few other benefits that a new router can provide for your business. 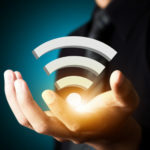 Greater Connectivity Distance: A new router will have more power to broadcast the Wi-Fi connection further and stronger. This is an attractive option if you find yourself getting frustrated with a weak signal after you cross the magic line. Increased Security: An older router that has weak security may be an easy way for hackers to access your network and steal your data. Newer routers come with the latest security to better protect your network. Easy Setup: Newer routers have made setup easier by giving users a list of interview questions. This way, an inexperienced user with minimal computer knowledge will be able to set up a router without getting a technician involved (although, we are here if you need us and it’s our pleasure to help out). Price: As far as computer hardware goes, routers are fairly inexpensive. You can purchase a new 802.11n model that can stream up to 150 Mbps for as little as $15. A more heavy duty router that can handle speeds up to 450 Mbps can cost you as little as $75. This is a great way to dramatically improve the capabilities of your wireless network affordably. Upgrading to a new router is a great way to boost the power of your wireless network, but there are other measures you can take as well. To learn more ways that you can improve network speeds, like using a Unified Threat Management solution to block media streaming websites, or upgrading to a heavy-duty wireless router built for a business with hundreds of users, call Quikteks at PHONENUMBER.